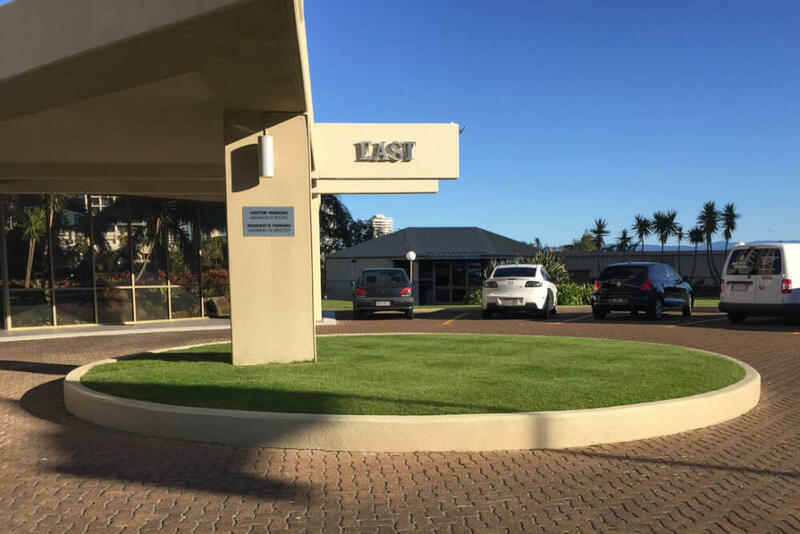 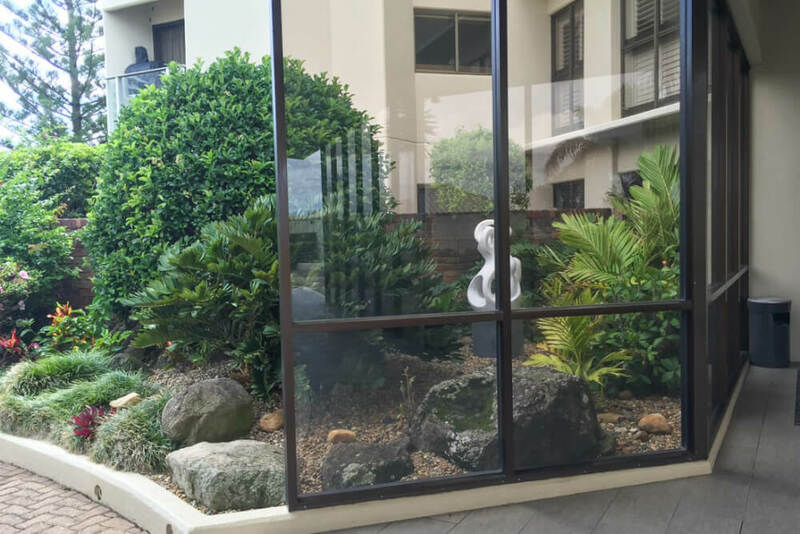 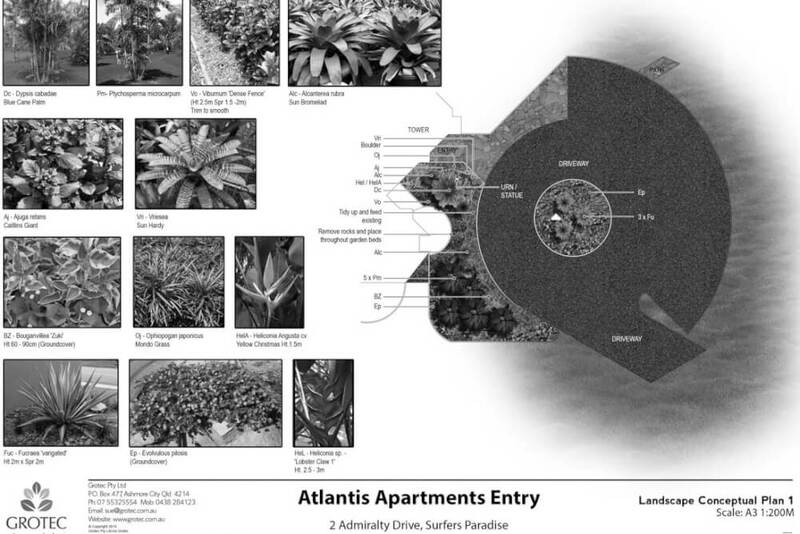 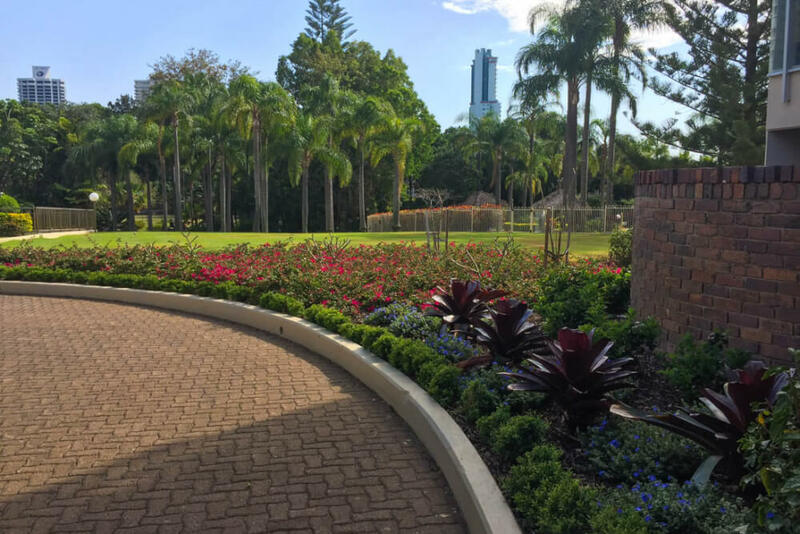 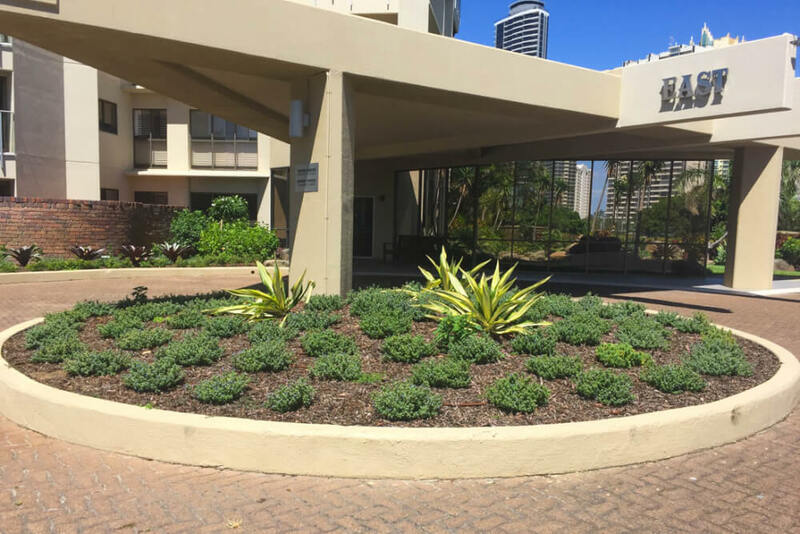 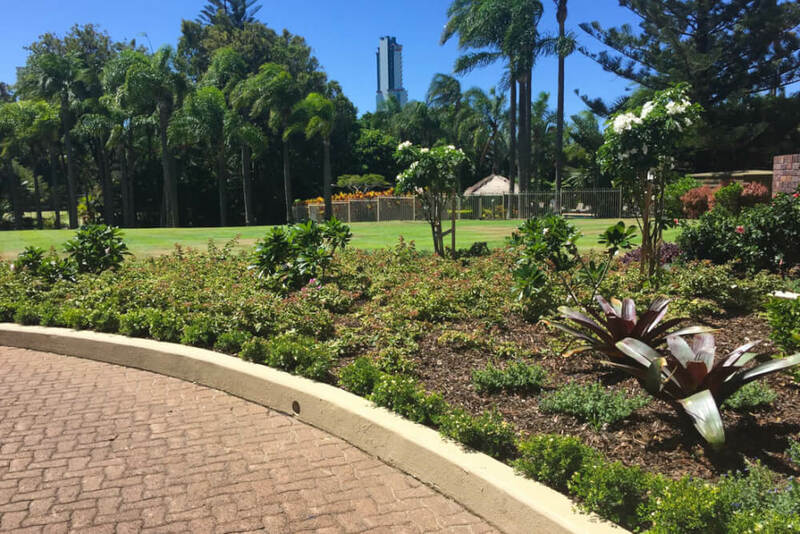 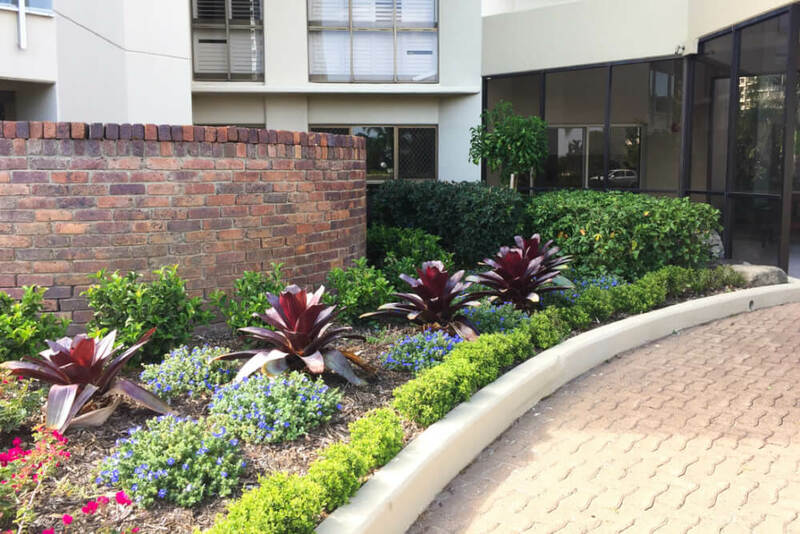 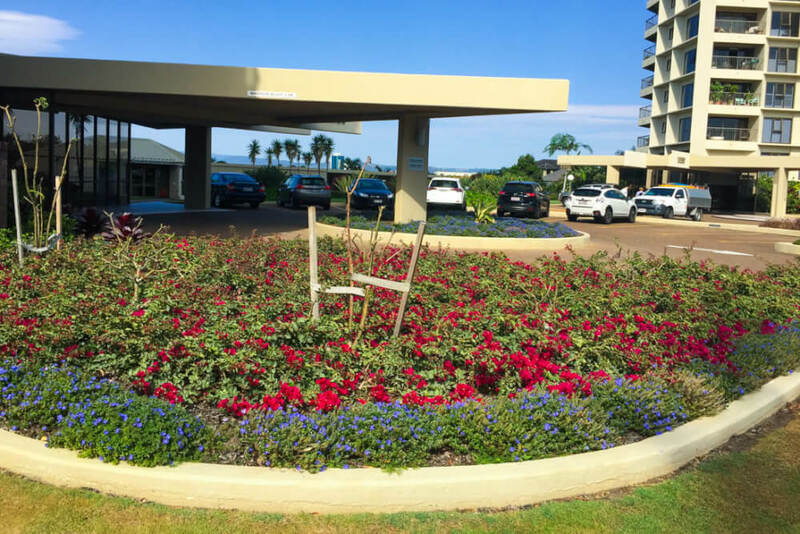 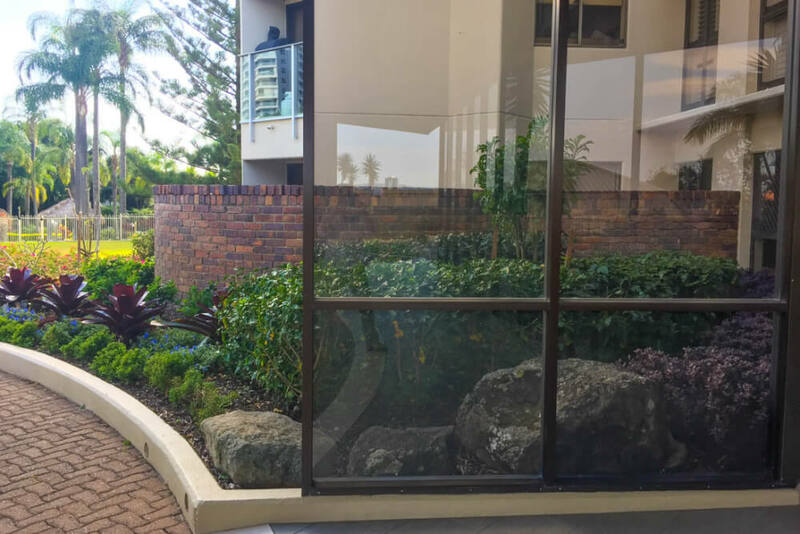 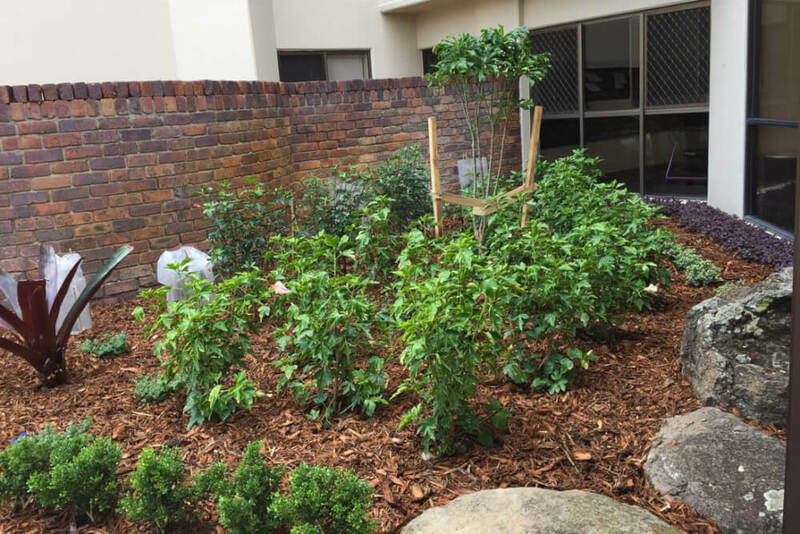 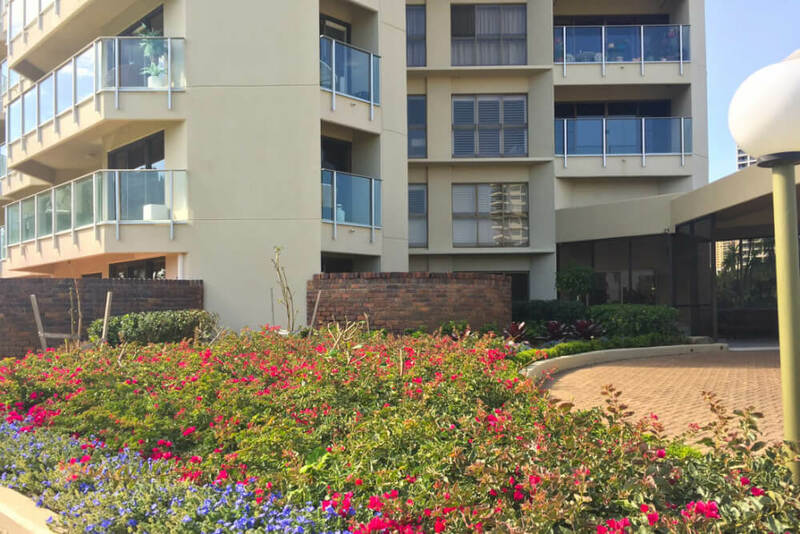 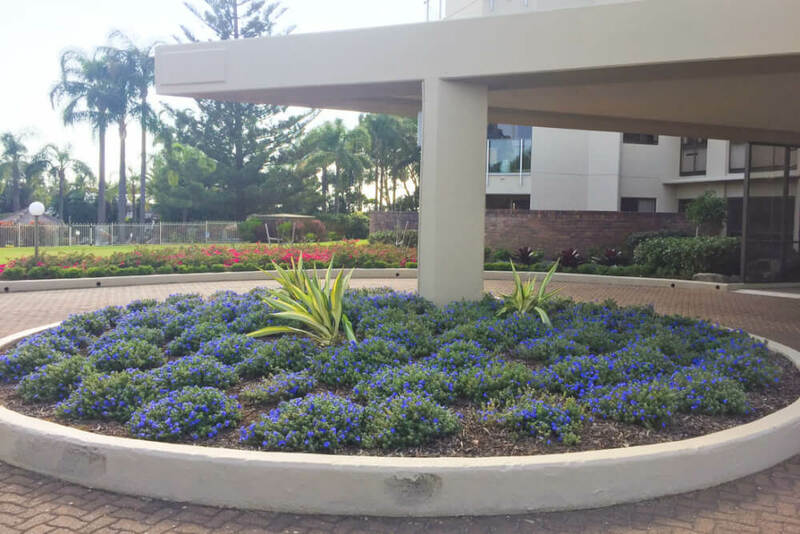 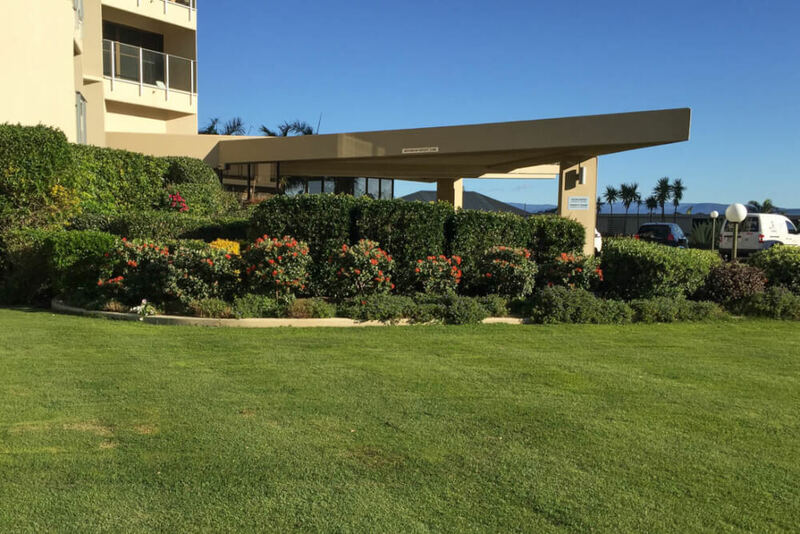 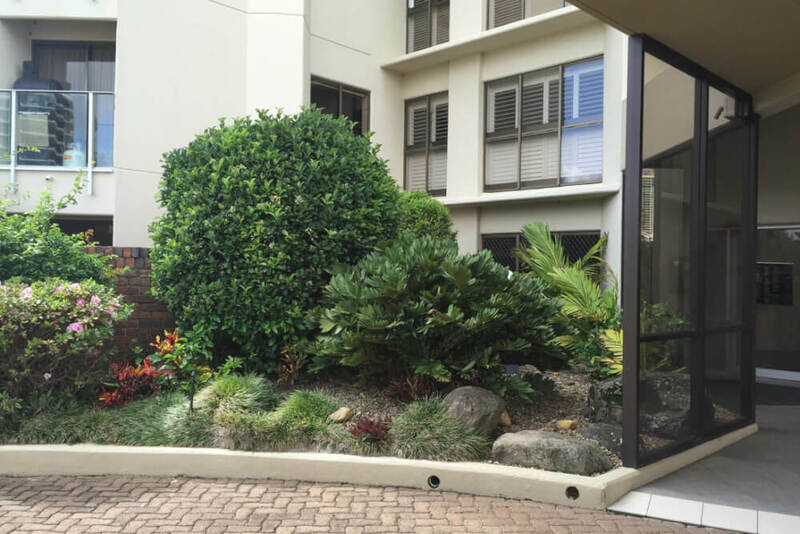 Tired and overgrown gardens at the front entrance of Atlantis East meant that the owners needed a high rise landscape design plan to help rethink the space. 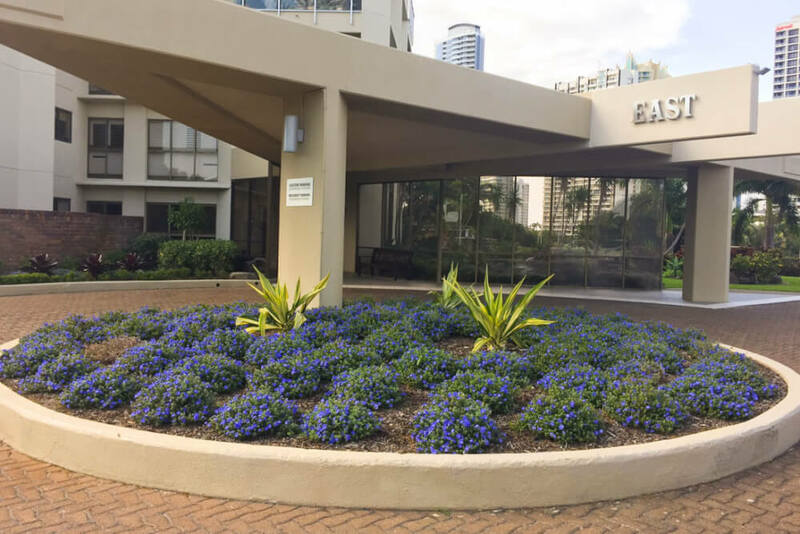 Grotec’s design team met with owners of the Atlantis East in Surfers Paradise and came up with a high rise landscape design plan. 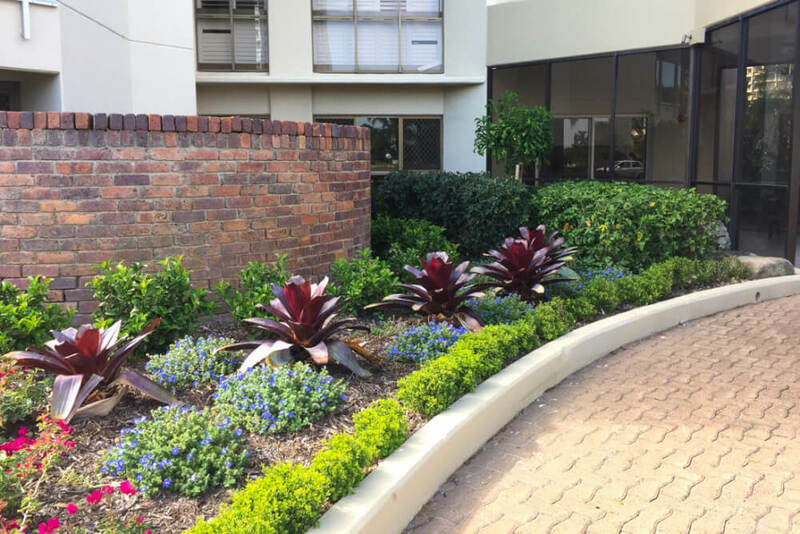 The clients wanted a colourful, low maintenance garden that could survive in a very open position. 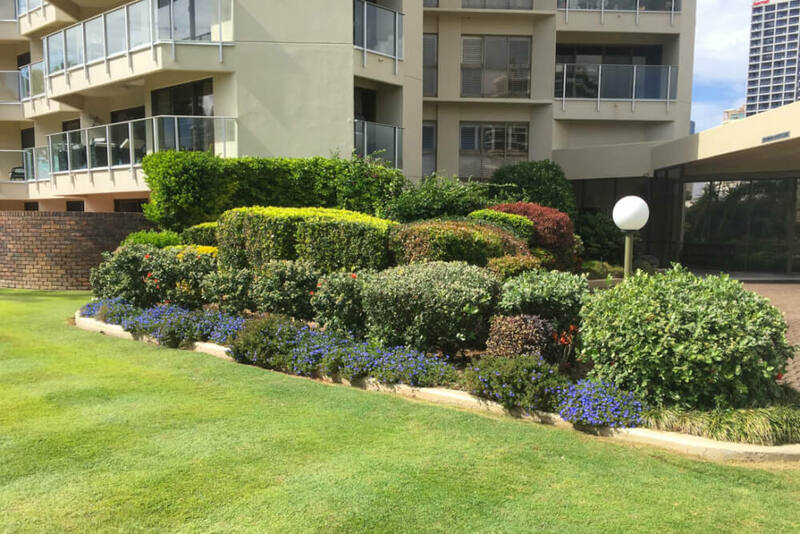 Because the gardens were exposed to the western sun and coastal winds, Grotec introduced hardy plants with continuous colour that flower through-out most of the year.